Note – in Adelaide – pricing does not include bin provision (client must have own bin). Rate shown exclusive of GST. Pricing is for individual bin collection. Unit price discounts will be applied to your rates for contracting multiple services. These reductions will be applied in the cart. Food waste. 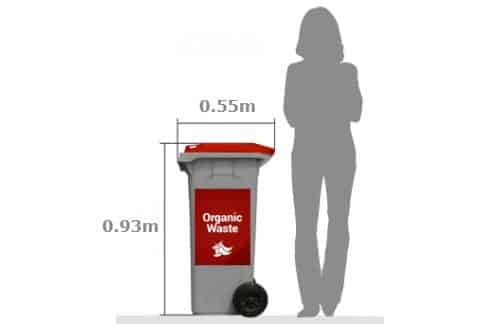 Collection and disposal of 120 litre Organic waste bin (i.e. food waste).